Airlines in India are partnering with famous food brands to leverage their ‘star power’ in an effort to woo passengers. The partnerships are with both home grown and glocal (global brands operating locally) brands. 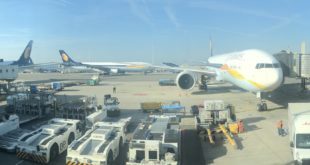 Last month, India’s largest private airline Jet Airways, announced a partnership to serve Subway sandwiches and Krispy Kreme doughnuts on board its flights. 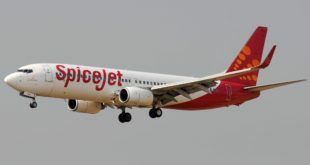 A week back, low-fare carrier SpiceJet, announced a partnership with tea cafe chain Chaayos, to serve passengers a hot ‘masala chai’ specially developed for the airline. Earlier this week, the Tata-Singapore Airlines branded airline Vistara, announced a partnership with global coffee giant Starbucks to serve its coffee on board its flights. Will famous food help Indian airlines? Airlines partnering famous brands on packaged foods and drinks has been in vogue for some time now, but the move to branded fresh food is relatively newer. While global brands in domestic skies are a new phenomenon, airlines around the world have been partnering with food brands, outlets, and celebrities, for some time now. 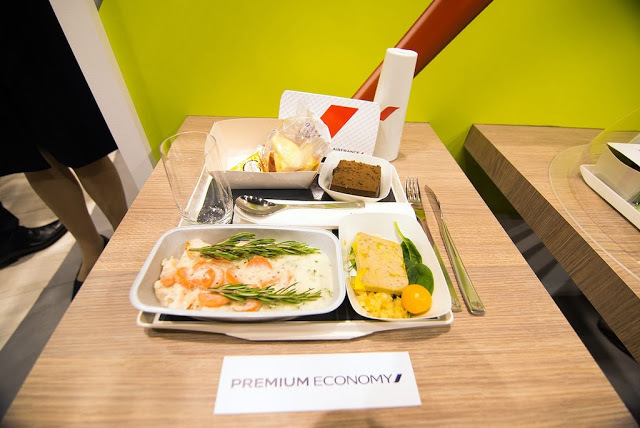 Many US airlines sell gourmet meals on their domestic flights prepared by celebrities like Wolfgang Puck and others or by famous chains like Boston Market. Singapore Airlines has its famous international culinary panel of Michelin-starred and celebrity chefs including India’s Sanjiv Kapoor. Air France offers its first class passengers ‘gastronomic experiences’ designed by Michelin starred French chefs Joël Robuchon, Régis Marcon, Guy Martin, Anne-Sophie Pic and Michel Roth, while Qatar Airways uses the skills of Michelin-starred chefs Nobu Matsuhisa and Vineet Bhatia. Missing from the list is India’s largest domestic airline IndiGo, the Wadia promoted GoAir, and national carrier Air India. Should they follow suit with Jet, SpiceJet and Vistara? Will partnering with famous food brands help Indian carriers? Should airlines in India expand their meals to including offering from celebrity chef meals? Will the passenger pay for a gourmet meal on board?